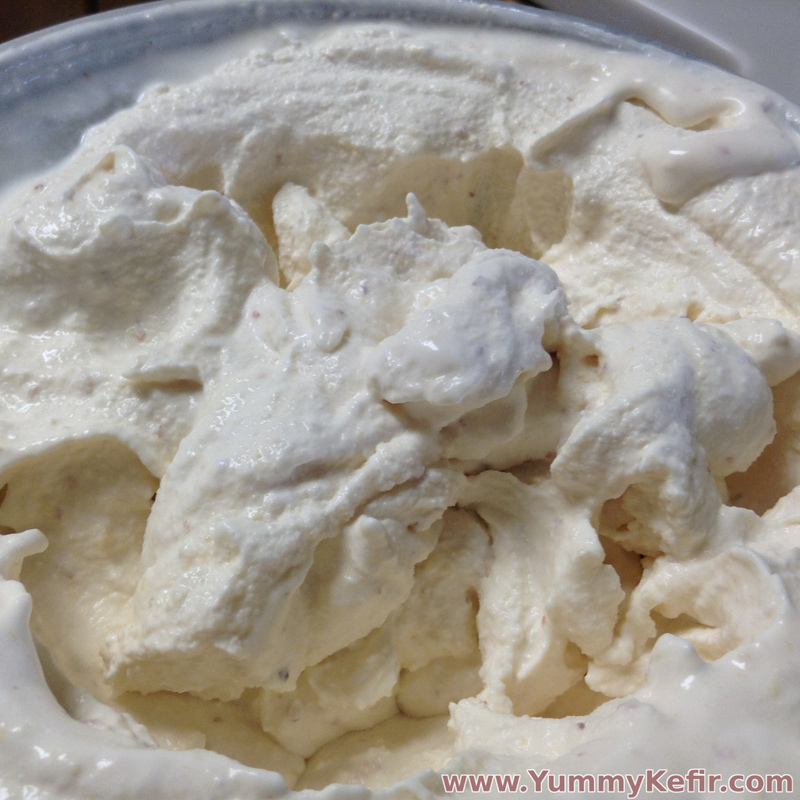 Fresh peaches make this milk kefir ice cream simply amazing. Slightly tart, like a frozen yogurt, this ice cream is also rich and filled with probiotics. Kefir skeptics beware! This ice cream is not just loved by those who already love kefir it is also known to change the minds of those who think they hate kefir! Give it a go today and see how much fun kefir ice cream can be. Blend all ingredients in a blender until the sugar/honey is combined. Finish the ice cream in your ice cream machine. If you are using fresh peaches, chill them in the refrigerator prior to use. This will keep the ice cream base cooler than if you use room temp peaches. It is best to use fresh ripe peaches but if all you have are frozen, they will work too.